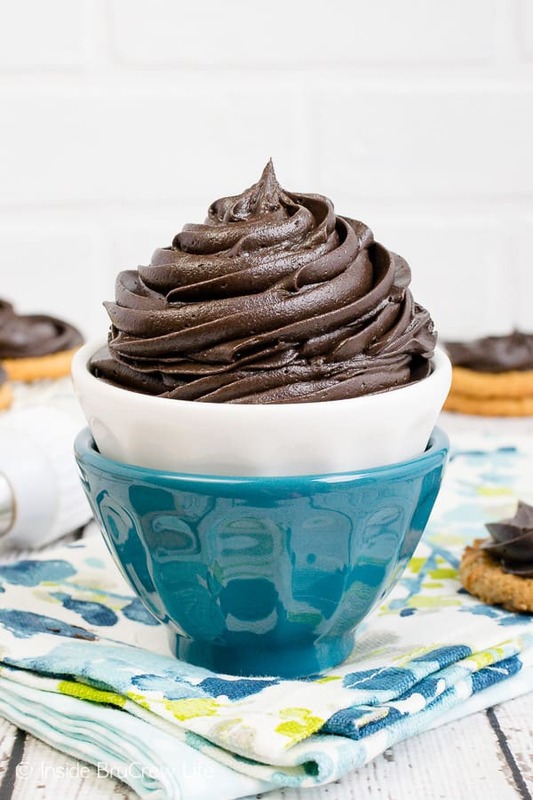 This rich and smooth Dark Chocolate Buttercream Frosting will satisfy any chocolate lover. 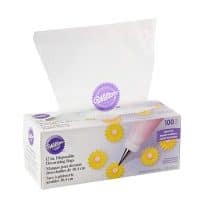 It’s the perfect topping for for cakes, cupcakes, and cookies. 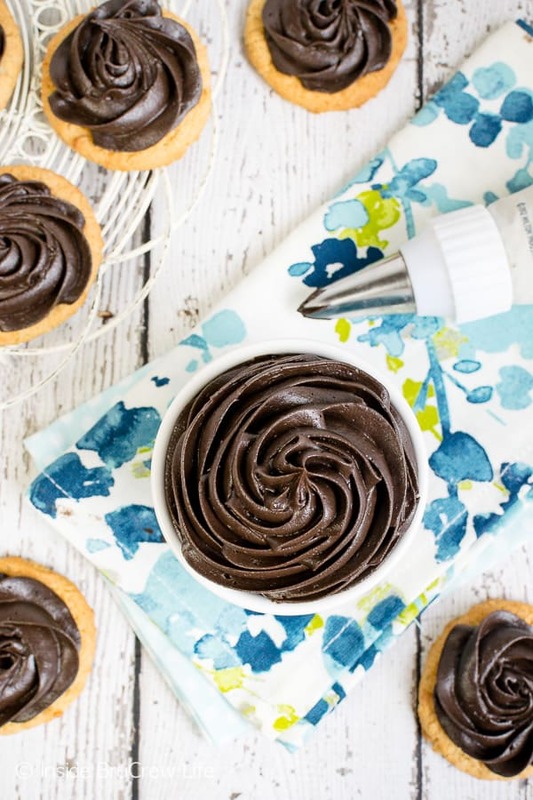 You will never buy store bought chocolate frosting after trying this homemade frosting recipe. 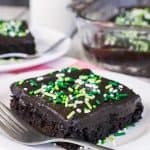 For a decadent dessert, try adding this frosting to the top of a pan of Homemade Chocolate Chip Brownies. It’s what dreams are made of! When it comes to chocolate desserts, I say the darker the better. Of course, that’s my personal opinion. I do realize not everyone shares this love for rich dark chocolate goodness. In fact, I used to be an all milk chocolate kind of girl. Hello, M&M’s. Those sweet little milk chocolate candies are still my favorite. 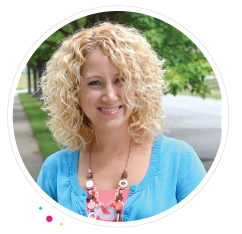 But then my husband introduced me to dark chocolate, and my world has been changed. Dark chocolate does take some time to get used to. The difference in dark chocolate versus milk chocolate is that there is more cocoa bean present in the dark. 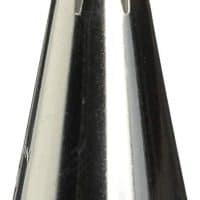 Milk chocolate has sugars and creams added to it to sweeten the flavor. Honesty, I’m not picky though. I’ll eat any kind of chocolate you put in front of me. 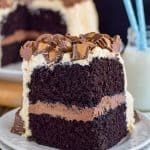 Today I wanted to share the best chocolate icing recipe with you. Again, that’s my personal opinion on the matter. But I think you will agree that this Dark Chocolate Buttercream Frosting made with cocoa powder is absolutely amazing! 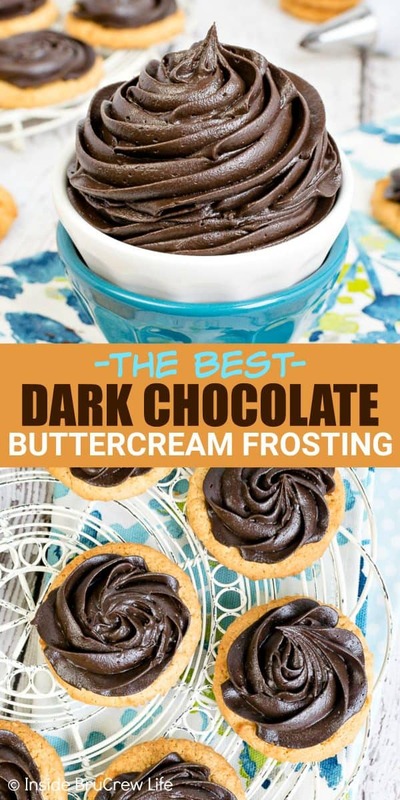 In fact, I’m confident that this will become your favorite chocolate frosting too! 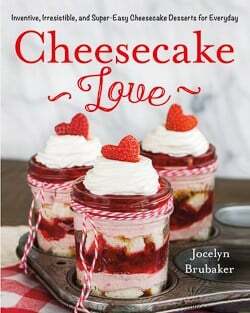 Now this recipe really isn’t anything new because I have used on multiple recipes over the years. So you may be wondering why I am sharing it with you again. Well, homemade buttercream frosting this good deserves its own page of glory. I mean look at that rich dark chocolate swirl staring at you. Makes you want to grab a spoon and dig in doesn’t it? 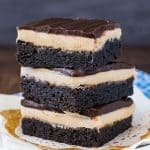 Or just grab a spatula and go to town frosting this Peanut Butter Explosion Chocolate Cake with a thick layer of this chocolate frosting. You know you want to. Make sure you set your butter out ahead of time. Soft butter is much easier to beat into a light and fluffy texture. Add the salt and vanilla and beat it with the butter until creamy. Add the dark cocoa powder and powdered sugar alternately with the whipping cream. Continue beating the frosting until everything is mixed in completely. 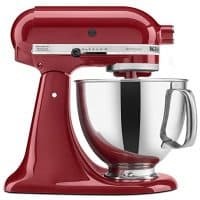 Once the ingredients are incorporated, increase your mixer speed to high and beat the frosting for another minute or two until the frosting is light and fluffy. 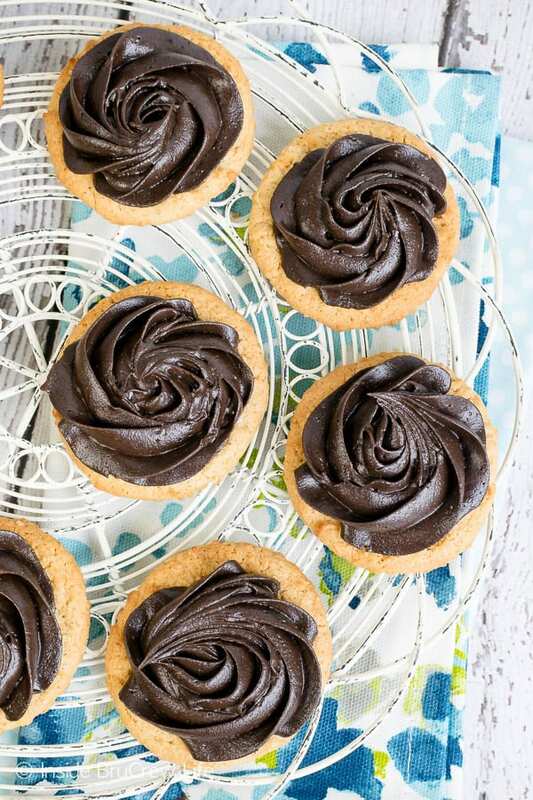 Use a piping bag and recipe tip 1M to swirl the frosting on your cupcakes or cookies. What else can I use Dark Chocolate Buttercream Frosting on? This Old Fashioned Butter Cake would be amazing covered in chocolate frosting! 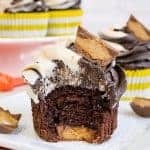 A swirl of chocolate frosting makes these Nutter Butter Truffle Cupcakes a dream come true dessert. I’m thinking this Homemade Brownie Mix topped with this homemade frosting would be perfect! Fill these White Chocolate Mochaccino Chippers with swirls of the frosting. 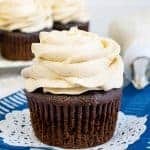 This Dark Chocolate Buttercream Frosting is a creamy homemade frosting that is the perfect topping for cakes, cupcakes, and cookies. 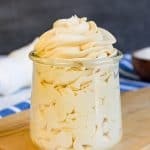 You will never buy store bought frosting after trying this frosting recipe. Beat the butter, vanilla, and salt until creamy. Add the cocoa powder, powdered sugar, and whipping cream and beat until mixed in. Beat on high for a few more minutes until light and fluffy. 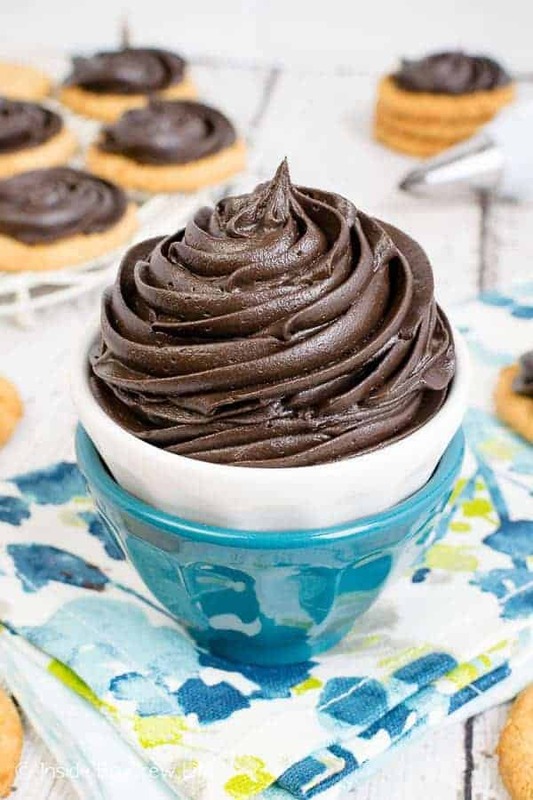 Use a piping bag and icing tip 1M to swirl the frosting on cupcakes or cookies. I have always been a big fan of dark chocolate! I am thinking i will just make it and eat it with a spoon! I know it will be delicious! It really is the best way to eat it 🙂 I hope you enjoy it! hey girl- this is right up my alley! yummy! Have a great weekend!